How do I buy a Repicci's Real Italian Franchise? Start a Low-Cost, Family-Friendly Mobile Business Today! A food truck business is all the rage! Storefront competitors must wait for customers to come to them while Repicci's takes the product to the customers. When Repicci's trucks are on the move, your customers can get updates on your location through SMS marketing and social media through the Repicci's mobile app. 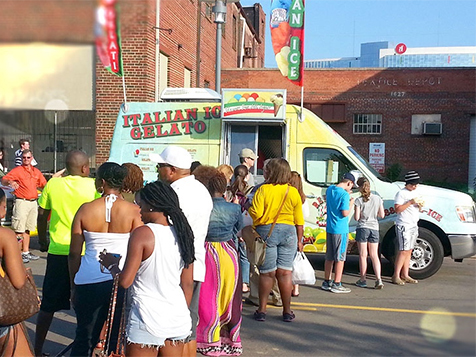 Learn more about this fun, affordable, ready-to-serve, authentic Italian Ice franchise. Once a person tastes Repicci's products, you'll have a customer for life. Open Repicci's Real Italian in any of these available states: AK, AL, AR, AZ, CA, CO, CT, DC, DE, FL, GA, IA, ID, IL, IN, KS, KY, LA, MA, MD, ME, MI, MN, MO, MS, MT, NC, ND, NE, NH, NJ, NM, NV, NY, OH, OK, OR, PA, RI, SC, SD, TN, TX, UT, VA, VT, WA, WI, WV, WY. No other mobile Italian Ice business uses a family recipe that’s loved by people around the world. Repicci's offers gelato, Italian Ice, coffee and hot chocolate made from 100 percent authentic, wholesome, Italian ingredients. From quality products, to quality equipment, this mobile Italian ice business has the shaved ice folks snowed. With more than 40 franchises nationwide, Repicci’s products are enjoyed by millions of people in thousands of locations. The future lies in taking Repicci's product to customers where they are, rather than waiting for them to come to you. 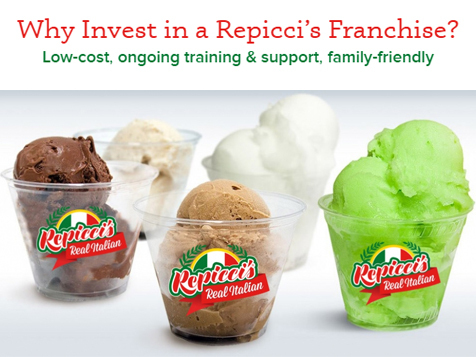 Repicci's now offers new franchisees the opportunity to own a business, selling delicious Real Italian Ice, gelato, roast coffee and hot chocolate at events of all kind. 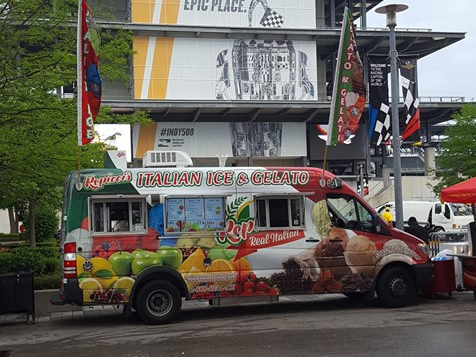 From fairs and festivals to sporting events, rodeos, reunions, and even weddings, a Repicci’s Italian Ice & Gelato food truck is suited for any occasion or event. Repicci’s is one of the best food truck franchise opportunities in the nation. 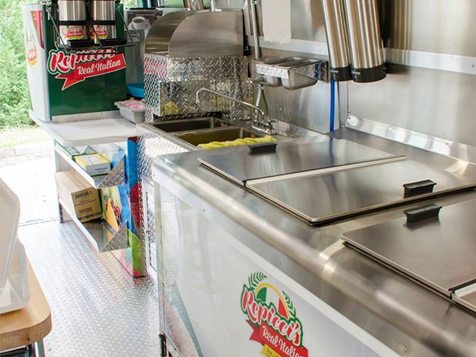 This food truck business franchise costs between $135,000 – $160,000, which includes the franchising fee, the Mercedes Sprinter truck and equipment. Annual royalty fees are $3,600 per year. Don’t have the money right now? Don’t worry. Inquire to Repicci's about financing options. As part of your investment, Repicci's offers an intense, two-day training at the corporate office and will address every aspect of operating and marketing your business, leaving no questions unanswered. In addition, monthly franchisee training calls and a Repicci's support team with 24/7 phone accessibility will be available to you throughout the life of your business. The "try before you buy" business. Recpicci's is a military friendly business and honors veterans and their families by offering a 20% discount off the franchising fee. Inquire today and join the Repicci's Real Italian Family! Repicci's Real Italian is not currently active in our directory, but here are some other recommended selections for you to explore.